October Shows/Alex Cracks The Billboard Top 10! Wanted to let you know about about our only two shows in October. This coming Thursday, 10/6 we will be opening a big and brawny show at The Outer Space in Hamden, CT. The headliner is Richard Lloyd of the late 70’s/early 80’s band, Television. Their album Marquee Moon clocks in at an impressive #130 on Rolling Stone’s 500 Greatest Album of All Time. His guitar playing was a huge influence on my growing up. I’m also a big fan of his work on other artist’s albums such as Matthew Sweet’s albums where he can be heard all over just ripping it up with his inimitable style. The show will feature tunes from his work with Television as well as his many solo albums. Not to be missed. Check Richard and his band out here performing the title track off of “Marquee Moon from just the other night. We go on at 7:30 sharp and then a great band from Southern, CT, Spectral Fangs will do a set and then Richard and his band will take over. Should be an amazing night. Full details below. Then, on Saturday, October 22 we head back to Albany, NY to rock out at Pauly’s Hotel (the oldest bar in Albany). We will go on around 9pm and there’s an amazing lineup of music for the whole night. 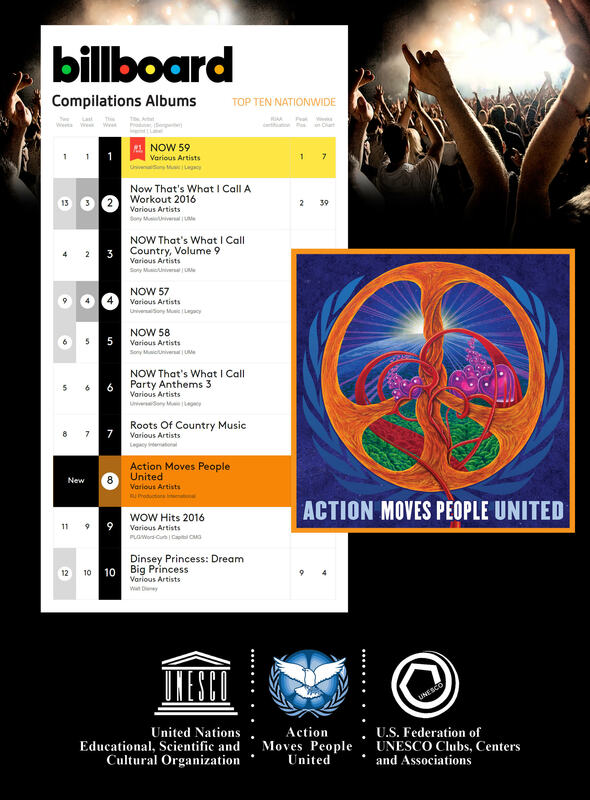 I am also excited to announce that the new album by Action Moves People United has cracked the top ten completion charts on Billboard Magazine! You can read more about the project in this blog post from last week. But just in a nutshell I provided an original instrumental piece as well as spoken word performance to the poem “The Human Race” by Prof Ed McCarthy and Renee Ruwe. The album features more than 300 artists from around the world including Julian Lennon, Dan Ackroyd, Janis Ian, Alan White and Geoff Downes. Thanks to Kevin Mackie and Krista Wallhagenfor asking me to be part of it. 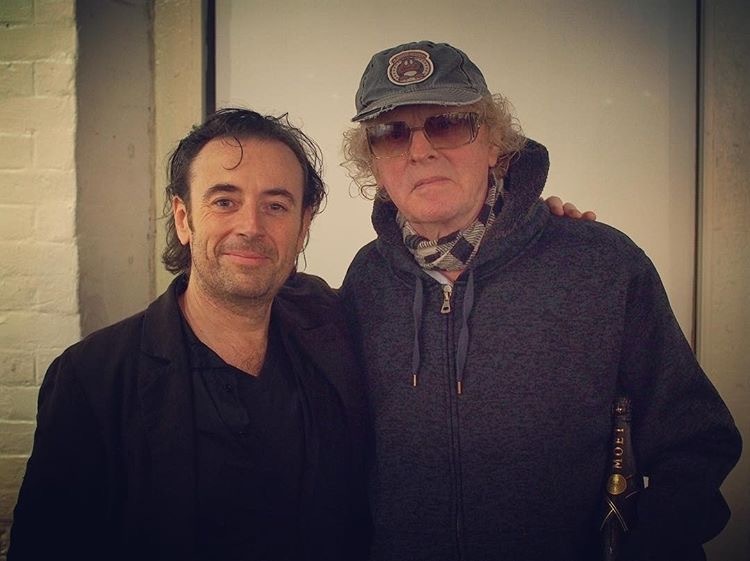 Lastly, thanks to all who came to the shows last month, and especially to the enthusiastic crowd who made me feel so good when I opened up solo electric for the legendary, Ian Hunter and The Rant Band in my hometown of Fall River, MA this past Sunday. It was a thrill and an honor to get to play at the Narrows Center For The Arts as support for the man who made “All The Young Dudes” famous as well as writing “All The Way To Memphis” and “Cleveland Rocks” among others. When I told him what a thrill it was to get to open for him he said to me, “Oh no, mate. You got it wrong. We closed for you!” Too f’ing funny. You can check out my version of the Drunk Stuntmen classic, “Clown To Be” from that show right here. Well, that’s pretty much it for now. We have some stuff going on in November (like Pour Judgement in Newport on 11/18) and you can check out all of those details on our tour dates page anytime. Thanks for being along for this crazy ride. The colder months may be coming but the power of rock and roll will warm your soul for sure. Don’t believe me? Come on out and see a Colorway show and we’ll prove it to you . . . or I’ll be a monkey’s uncle. This will be an amazing show. Such a big fan of Richard Lloyd’s work with seminal 1970s NYC post-punk new wave band Television as well as Matthew Sweet and been hoping to see him play live for years. Now we get to open the show! Holy moley! The Outer Space is a pretty amazing venue. Two rooms (a smaller one and the ballroom) and a very laid back atmosphere. Full bar and craft beers available as well as a full menu. Colorway played the small stage a few years ago with The Dress Ups and Rick Murnane and we are extremely excited to return for this show. Iconic . . . legendary . . . unique . . . all can be used to describe Richard Lloyd, but the most accurate word might be “relevant.” After a career spanning more than forty years, Richard Lloyd continues to make great records and deliver exciting live performances. Learning from the master himself, Jimi Hendrix, Richard was among the very few pioneers of the New York underground scene, headquartered at CBGB. With Tom Verlaine, a founding member of the seminal band, Television, Richard made some of the best rock and roll records of the all time–Marquee Moon and Adventure. Striking out on his own, Richard gave us Alchemy, Field of Fire, Radiant Monkey, The Cover Doesn’t Matter, and more. Richard Lloyd was also the guitar master behind Matthew Sweet, John Doe, and Rocket From the Tombs. For the past three years, Spectral Fangs have been been on a spiritual journey intent on doing whatever the hell they want. From releasing the semi-psychedelic EP Memory Girl, which featured makeshift sitar and a gussied-up basement reverb vibe to playing shows from Brooklyn to sweaty basements everywhere, the Fangs have made their own weird way in the world. Summer 2016 brings their JUST RELEASED compilation vinyl record CALLIGRAMS to light (OM Records), in which they contributed 2 songs. Come check out the band as they return to Albany, this time to the NY capital’s oldest tavern (est. 1889). This place is so amazing that Phish even played here once. Should be a very eclectic night of music.